It’s Thursday again and that can only mean one thing…….we get to meet another blogger as part of my brand new blog series. 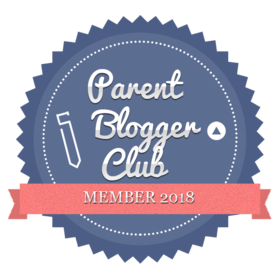 Designed to help you all discover some new blogs to follow, I chat to a different blogger each week and find out all about the person behind the screen. This week I’m thrilled to be featuring the fabulous Huda from BeauLife. I’ve been following Huda’s blog for ages now and absolutely love her mix of beauty, lifestyle and blogging posts – there’s something for everyone! I hope you enjoy reading all about BeauLife and the wonderful lady behind it’s creation. Hey, I’m Huda! A 24 year old Pakistani currently living in UAE. I work full time and run my beauty and lifestyle blog- BeauLife. I love blogging, reading, cuddling up with my fav snacks watching Netflix (of course) and going on adventures! I have been blogging for almost 2 Years now! Honestly there are too many to just choose one but if I had to, I would say it’s how passionate I am about blogging. I look forward to working on my blog everyday. It’s my happy place and starting my blog was the best decision I’ve ever made! When it comes to my blog, I stay motivated by having goals. There is so much I want to achieve blog wise and having goals makes me excited and motivated to work on them and achieve them! Also, looking at how far successful bloggers have come definitely motivates me to work harder because if they can make it then so can I! The most challenging part for me is my inability to be more open about my blog to people in my personal life. Ah! So hard to choose! I guess it would have to be ‘The Truth About Blogging’– it’s my favourite because i discuss how wrong people’s views are on bloggers are such as ‘oh, it’s so easy being a blogger’ when in fact it takes so much time, energy and creativity creating great content for your audience! Oh where do I start, haha! Definitely see myself earning a part time income through my blog, working with some amazing brands and improving myself as a blogger to create even better content for my audience then I am creating right now! I’d like to say a massive thank you to Huda for taking part. Check out next week’s post as I welcome another fabulous blogger. Hello, Thank you for writing this encouraging story. I have just started blogging. At first it seemed pretty scary to get out there but I think I am making some progress. For that reason I like checking out other bloggers and get some inspiration. Thank you.